Are you worried about your office or shop’s security? Do you have valuable equipment or sensitive information that you want to protect? As a business owner, your concerns are only natural! Burglars are always on the prowl and a break-in can be devastating for the company. Therefore, having up to date security is crucial to prevent a potential burglary. When looking to upgrade commercial locks, it is advised that you look for an experienced and credible locksmith that specializes in commercial locksmith jobs. That’s where Safe Lock Solutions steps in! Licensed, bonded and armed with established credentials, we are the best in the business. Our experienced security engineers, equipped with the latest state-of-the-art tools has the expertise to tackle any kind of issue no matter how big or small. At Safe Lock Solutions we offer a full range of services, from lockouts, lock repairs or lost keys to fresh installations of a complete security system, bording-up and more. Not to mention, our services are cost effective and can be tailored to meet the specific needs and budget of all business establishments, be it retail shops, corporate offices or multinationals. You can also count on us to upgrade your business to more modern lock systems. We specialize in providing high-end features such as panic bars, keyless entry locks, exit door devices, external security locks, door closers, fire escape apparatus, electric strike repairs and automatic lock systems. For more efficient security, we also offer digital card lock systems and keypad access locks. Safe Lock Solutions has more than just security technology to offer! We can assess your current security and identify potential weaknesses, to help avert unwanted intrusions. 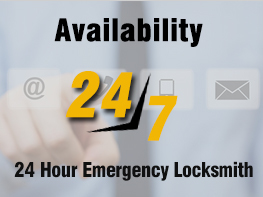 At Safe Lock Solutions, we strive to deliver prompt service and fast emergency response. Be it day or night, our technicians are available 24/7 to provide round-the-clock support for your safety and peace of mind. Whether you require emergency service, non-emergency service or a thorough security analysis we offer the fastest, most affordable and up-to-date commercial locksmith solutions. So what are you waiting for? pick-up the phone and call us today to learn more about the top-notch range of security services we provide, and the ways in which we can help protect your business.